Stripped down to its elements, this reflects the team’s desire to play inventive and attractive football with a “we’ll score one more than you attitude” - the Brazilian element - and a robust, determined desire to run, cover ground and work hard - traditionally German virtues. It is a wonderfully apt description for the Rhein-Neckar-Arena side, whose games produced a whopping 142 goals - the most in the division - and who were regularly among the sides to have covered the most distance and blooded young players in 2013/14. Firmino himself was the face of this approach under Markus Gisdol, as well as the club's standout player and the league's breakout star. From midfield, the 22-year-old scored 16 times in 33 league games to finish fourth on the top goalscorer’s list and also provided 12 assists, a statistic bettered only by Borussia Dortmund and Germany ace Marco Reus. As his numbers prove, he was a virtual guarantee for success last season, also notching in big matches, away to Dortmund and at FC Bayern München for example. Where once Hoffenheim had a talented but inconsistent prospect on their hands, they now have an established top-flight star. 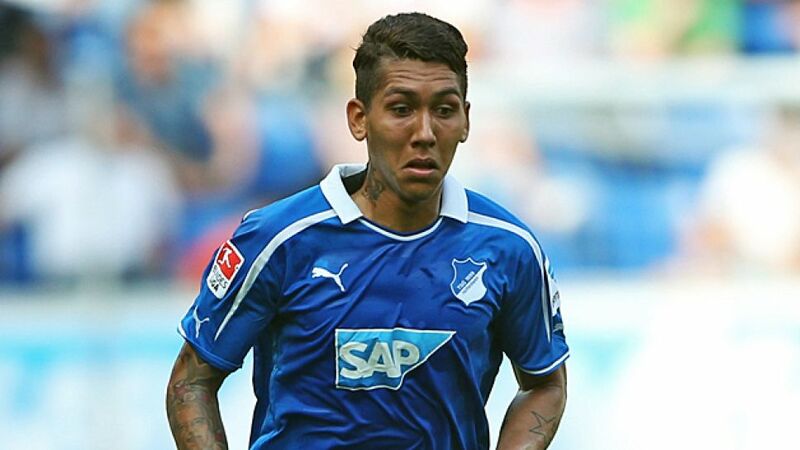 It was Ernst Tanner, the club’s erstwhile sporting director, that discovered Firmino and took him to Hoffenheim in 2010. That he was a precocious talent was obvious, but what impressed Tanner most was his attitude. For former club Figueirense FC, Firmino once endured an entire training session of criticism from the coach, but instead of complaining, nodded diligently after each whistle and set about adjusting his game accordingly. Previously, at the age of just 14, he agreed to be separated from his family by 3,000 km in the hope of becoming a professional at Figueirense in the city of Florianopolis (incidentally a city with a sizeable German immigrant community). He didn’t see his mother for over a year, but it didn’t faze him. “I wanted nothing else than to be a footballer. I even took a football to bed every night,” he told the official Bundesliga magazine. The next episode Tanner witnessed of Firmino's unbending will to succeed had him convinced that the Brazilian needed to be signed. Still at Figueirense, he was made to train for two and a half hours straight, the day after an 11-hour journey back from an away game in Goiana and the day before another game. “Anyone else would have gone crazy, because the coach was nagging him the whole time, but he just carried on," recounted Tanner to the official Bundesliga magazine. "He had ability, but it was his mentality that set him apart, and I said to myself, ‘That’s what will help him in Germany.’"
So impressive was his form that Brazil coach Luis Felipe Scolari paid him a visit recently, and although he didn’t make the Selecao cut for the 2014 FIFA World Cup, he is most certainly on the national team selector’s radar. In the meantime, Hoffenheim fans can look forward with rising expectation to many more goals and assists after he extended his contract with the club to 2017 back in March. Roberto Firmino Barbosa de Oliveira has contributed immeasurably to restoring a reputation for entertainment and excitement to a club that was on the brink of relegation in 2013, assuming the responsibility of a would-be senior player and showing leadership through his performances. Crucially, he has made the leap from being a good player to a great player, but then again, that shouldn't be too much of a surprise. He wanted nothing else.